What does it mean to be socially and educationally disadvantaged? And who do we classify this way? Young people living on low incomes, based in high crime areas and with poor educational achievements are more at risk of being drawn into crime. 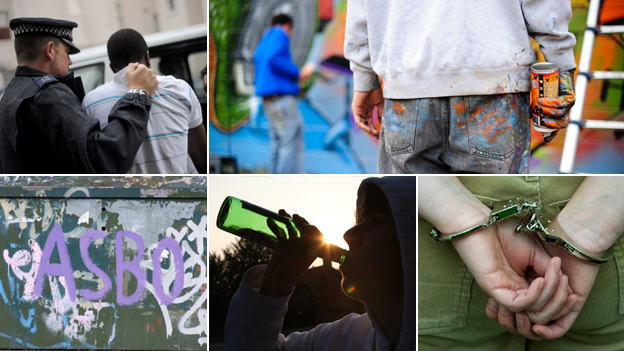 In the UK, issues relating to young people’s behaviour are an ongoing challenge; statistics from The Home Office show that over 23,000 ASBOs (Anti-Social Behaviour Orders) have been issued to young people since its introduction in 1999. Nacoa (National Association for Children of Alcoholics) suggests that 20% of children in the UK are living with someone who suffers from an alcohol problem. This is troubling, if a child’s environment is a negative one, it can lead to low self-esteem, educational and behavioural problems and involvement in crime. Social groups are another contributing factor, children are more likely to be involved in gang activity if a family member or someone in their peer groups in school, or in their neighbourhood, are part of one. These factors are generally difficult to control; however, there are ways to help limit the risk of young people in your community being drawn into crime. The NSPCC recommends providing structured environments, activities and supervised youth facilities to help young people at risk. Providing safe alternatives can discourage teenagers from socialising with the wrong people and help them move in a positive direction. For example, mentoring schemes and youth organisations such as the Army Cadet Force ‘Outreach’ programme help young people to gain confidence, develop self-esteem and realise their potential. Outreach is an early intervention scheme which helps around 1,000 teenagers with behavioural and social problems every year. The programme gives young people at risk of becoming engaged in crime much needed support, guidance and focus. Outreach offers a range of activities including climbing, canoeing, abseiling, expedition training, first aid, obstacle courses and night navigation – all designed to encourage young participants to take responsibility for themselves and the other members of their team. 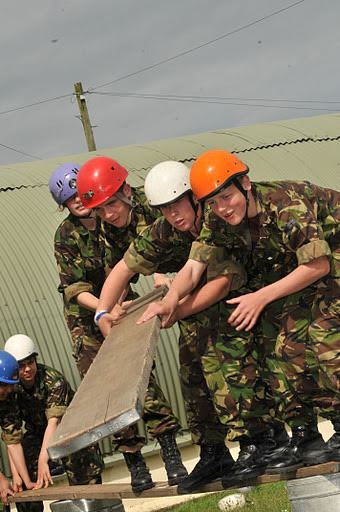 The programme is based on tried and tested activities, developed by the Army Cadet Force (one of the UK’s largest volunteer youth organisations), which are enjoyed by nearly 46,000 Army Cadets around the UK. In helping troubled teenagers, Outreach has proved highly successful against a range of criteria (measured by partner organisations at three and nine month intervals post project). In 2012-13 87% of participants showed an improvement in behaviour, 84% of low achievers improved and 90% on a police warning had not re-offended. Outreach showcases what the ACF ethos can achieve for disadvantage young people –Maj Aimee Mtchell, ACF volunteer, vice principal at Tavistock College. Such organisations rely on adult volunteers to work with teenagers and become role models, which a lot of troubled teenagers so often lack in their lives. They act as councillors, advisors, creating a safe haven to help rebuild that bridge between young people and society. Army Cadets has around 8,500 adult volunteers, a variety of individual from school teachers, parents, ex-army and ex-cadets all committed to help young people. Before becoming ACF volunteers, individuals are interviewed to ensure that not only can they commit to the cause, but they are invested in helping young people. Once a volunteer, ongoing training is provided, many of which lead to nationally recognised qualifications. Alongside this, volunteers work in a team of people who all have different gifts, skills, qualifications and experience, ensuring everyone’s input is valued and disadvantaged young people are offered the best. 2 Responses to "Outreach: Volunteering with socially disadvantaged young people"
Thanks for reaching out. Have you tried exploring volunteering for your child? maybe you and your teen can engage in a family volunteering activity in your community?